At the New Beginning in Osaka this morning, Kota Ibushi made his first appearance for New Japan Pro Wrestling since Wrestle Kingdom 13. 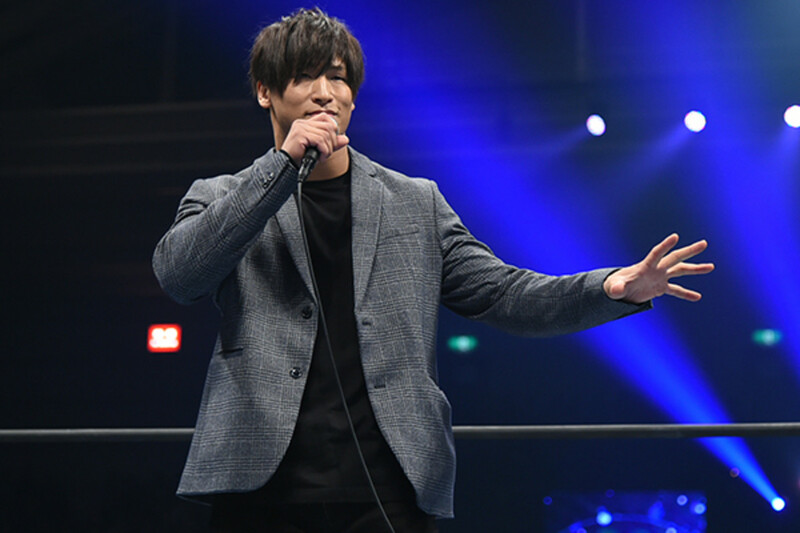 Ibushi spoke to the crowd, telling them he will stay in NJPW. He said he isn't going anywhere and announced that he'll be entering next month's New Japan Cup. The winner of the New Japan Cup receives a title shot of their choosing. The tournament will begin on Friday, March 8 and conclude on Sunday, March 24. While speaking backstage after his appearance, Ibushi said (translation via Chris Charlton): "I always want to be here in NJPW. In 2019, 2020, 2021 and beyond." Kenny Omega sent out a tweet after Ibushi's appearance. He wish Ibushi luck and wrote that he'll see him again one day. Ibushi hasn't wrestled since losing the NEVER Openweight Championship to Will Ospreay at the Tokyo Dome on January 4. NJPW announced after the show that Ibushi had suffered a concussion during his match.